The year end is a time for feasting, not only because of the festive season but because there is a birthday every month at home from December till March. The feasting started at Wooloomooloo last month for the kid 21st birthday. 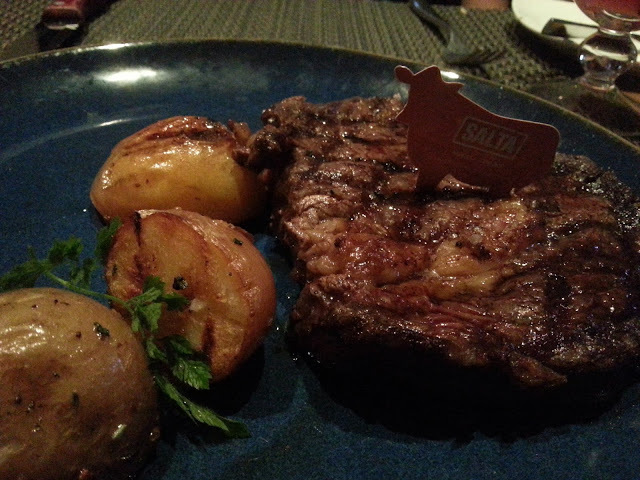 Then in January we went to another new place, Salta, a Argentine restaurant. 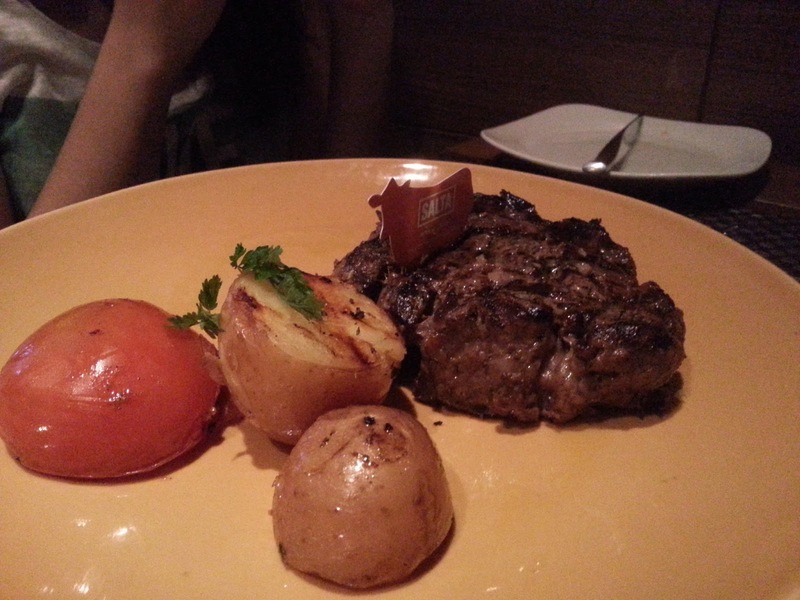 The place claim to fame is that they serve beef from cattle reared in open pastures in Argentina. And of course the giantgantic charcoal fired grill called a Parrilla. Thus the second name of the place. I not an linguist and I don't speak the language of Argentinians (what exactly do they speak anyway? Spanish?) so we couldn't read the menu and relied on the waiter to recommend what was good. 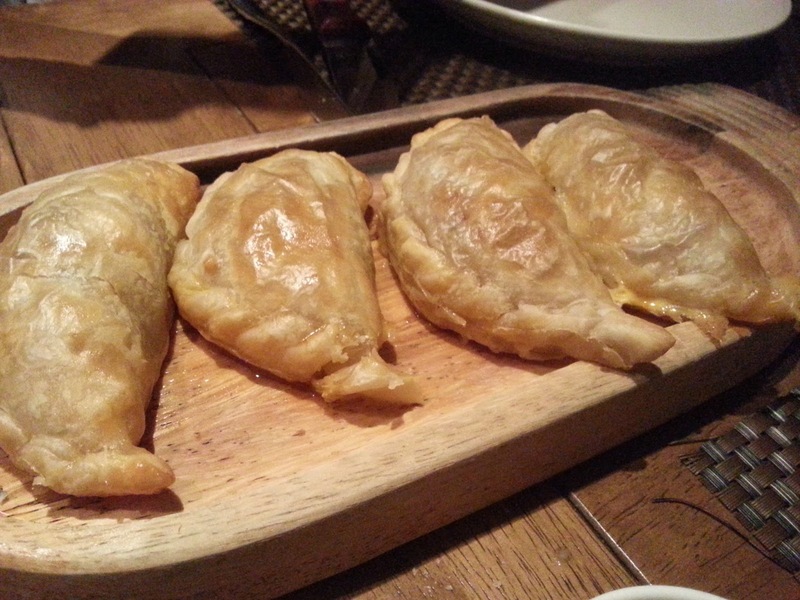 According to what I read on the web, one of the must have is this curry puff like thingy which is called Empanadas, a pastry filled with vegetables and meat. We had the beef and capsicum and those people on the web were right. It was simply delicious with the pastry being baked to just the right flakiness. Then we came to the main course. The tv monitor kept running the beautiful scenery of the Argentina country and the cows and they were so beautiful and calm and I almost felt so guilty about eating them. It was almost enough to make me swear off beef! 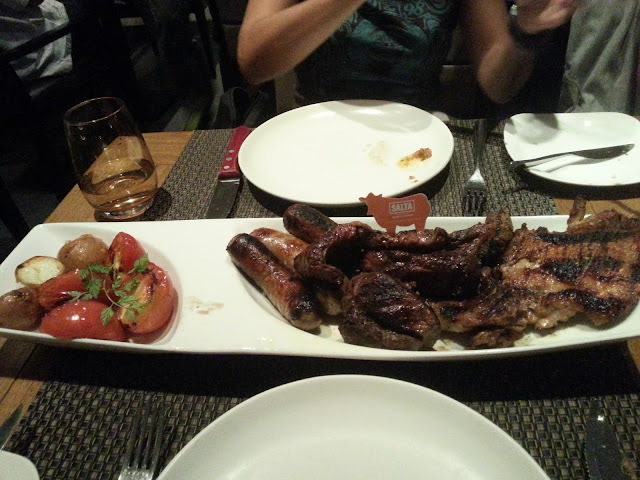 I can't remember which is which for the first 2 meat but the last one was the Parrilla or the mixed grill. It was for sharing for 2 but I think it could easily filled 3 persons. There was sausage, chicken, pork, beef and lamb. I shared this with M but we couldn't finish it. Luckily the Kid is still a big eater and finished everything else. Me think the meat is grilled a little bit too long and was rather chewy or is that how it was supposed to be? 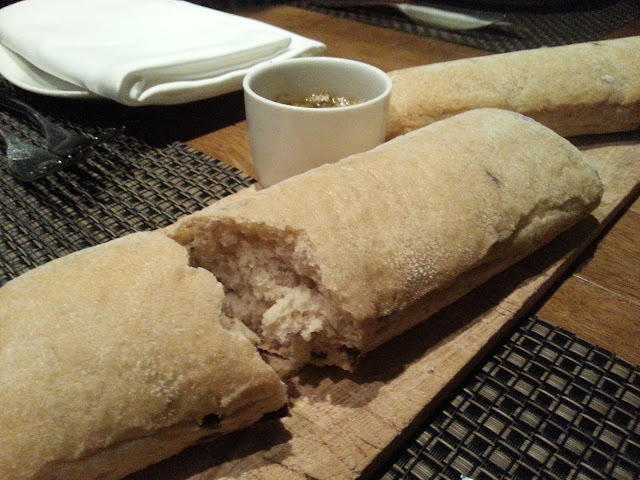 Overall, the food here wasn't as expensive as Wooloomooloo but the service was equally good. The place filled up fast and quite a few groups without reservation were turned away while we were there. Still the entire meal cost slightly over $200.00 but thanks to a UOB discount voucher, we paid only 50% of the total bill!